The Graduate Gender Programme at Utrecht University will focus on the projects ‘Curating Cultures of Equality in Post Imperial European contexts’ and ‘Critics and the Cultural Politics of Equality’. The Graduate Gender Programme of Utrecht University is a leading member of the EU LLP EDGES (2013-2015). EDGES is a Lifelong Learning Programme Project coordinated by the University of Bologna that involves eight academic and non-academic European institutions which have a longstanding experience in Women’s and Gender Studies. EDGES aims to shape and develop a model for a European PhD in Women’s and Gender Studies which focuses on the comparison and integration between different geographical, historical, and socio-political contexts thanks to the collaboration and synergy among universities that have different histories, experiences and expertise in the field of European Feminism and Gender Studies. EDGES will trigger an interdisciplinary and intercultural approach to highlight crucial issues such as women’s migration, violence on and exploitation of women’s body, traumatic experiences in recent conflict areas, cultural and counter-memories, equal opportunities in education, careers and job market, discrimination in sexual orientation, civil rights and religious prejudices. EDGES will favour a vital change in the preparation of the next generation of academic, business, public and third sector European leaders. The Graduate Gender Programme is leader of the workpackage that designs and develops the international doctoral curriculum on Women’s and Gender Studies. Every year numerous migrants enter Europe legally and illegally, constructing and sustaining transnational networks through online technologies. These ‘connected migrants’ reconfigure notions of identity, gender and belonging and contribute to a new understanding of Europe as a multidirectional networked society. These issues are at the heart of the project ‘Digital Crossings in Europe: Gender, Diaspora and Belonging’ (CONNECTINGEUROPE). Prof. Sandra Ponzanesi was recently awarded a prestigious and highly selective ERC Consolidator Grant of 2 million euros for this project, which will allow her to form her own team and conduct research for a five-year period (2015 – 2020). how digital connections create new possibilities for cosmopolitan outlooks, rearticulating Europe’s motto of ‘Unity in Diversity’. The project focuses on migrant women (aged 18-40) who have settled in Europe’s main cities (London, Amsterdam, Rome), in dialogue with family and loved ones they have left behind (Somalia, Rumania, Turkey). Ponzanesi will investigate their digital presence on social networking sites, websites, blogs, Twitter, video-chat and smartphones. Postcolonial Europe Network PEN is funded by NWO (Netherlands Organisation for Scientific Research) for three years (2011-2014). 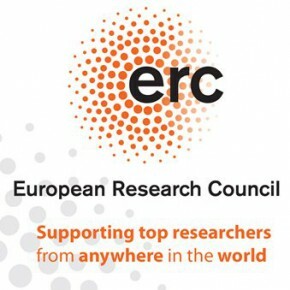 The project conducted by Sandra Ponzanesi (Utrecht University, the Netherlands) aims at establishing an international platform for developing research into new forms of conceptualizing Europe from a multidisciplinary perspective engaging several disciplines (literary, media, gender studies) in the Humanities and the Social Sciences (sociology, political theory). PEN aims to develop theoretical and methodological tools for representing and imagining Europe in a postcolonial and postimperial perspective. The PEN international research network builds up on the activities of the previously funded AHRC network on Postcolonial Europe (2008-2010).